Retailers, do you really know your consumers? Retailers might think they know their consumer, but do they? Blis, the global advanced location data technology company, announced the beta launch of Smart Trends, a new analytics tool that allows marketers to analyse consumer behaviour, from audience profiling, to exposure, to attribution, by capturing and activating mobile movement data. To demonstrate the capabilities of Smart Trends, the company also announced the release of a report, Mastering Consumer Trends: A Global Retail Study, giving side-by-side behavioural comparison of user groups across four global brands in seven countries. Smart Trends offers robust in-store consumer behavioural insights and in-store comparison of multiple location types and brands, allowing marketers to break down demographic, contextual, time/day, and device type analysis, as well as compare behaviour of user groups side by side. Smart Trends is powered by mobile movement data, a passively collected data set that overlays device ID, longitude and latitude, and timestamp data. This passive data set is then merged with a wide range of behavioural data to create a more comprehensive consumer profile, thus exceeding the scope of traditional location data in that it represents a consumer’s movement patterns over a period of time. “With such high smartphone ownership and usage in the MENA region, making the most of mobile movement data provided by Smart Trends will help brands to gain a holistic view of their customers,” said Puja Pannum, MD MENA at Blis. Brands can use this non-biased data set to gain a factual perspective of their competitive marketplace and consumers’ behaviours. For instance, while marketers generally have good insight on how their customers interact with their own brands, they lack the ability to understand how their customers behave when they’re shopping with competitors, or even their more general day-to-day behaviours. Comparing shopper behaviour in the UAE, UK, Germany, South Africa, US, Singapore and Australia as consumers interacted online and offline with H&M, Topshop, Victoria’s Secret and Zara touch points, Mastering Consumer Trends: A Global Retail Study illustrates Smart Trends’ ability to unlock consumer behavioural insights on purchase intent, shopping patterns and mobile consumption while shopping. For example, the study found that Dubai is a prime location for mobile marketing. Over three-quarters of the UAE population own a smartphone and over two thirds of mobile consumers spend over 1 hour a day online on their smartphones. Shopping is also a hugely popular activity in hubs such as Dubai, often taking place late into the night; our study showed that over a third of all foot traffic occurred after 6pm. Combining the popularity of shopping with the high mobile usage clearly shows the big opportunities for marketers to reach their audiences in the right context. The fact that Victoria’s Secret was the most popular retailer we surveyed highlights that women are a key demographic, with over a quarter of Emirati women spending 60% of their income or more on shopping each month. 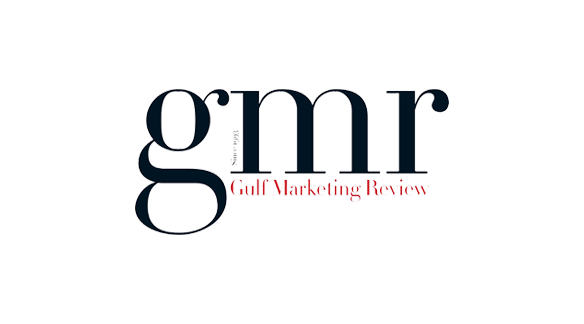 To view the original article on Gulf Marketing Review, click here.